It´s always handy to know where to find the right medical help, in the shortest time and in the valley area it is no different. Finding a hospital, optician, dentist, physio or other medical service can be a daunting task (with or without a knowledge of Spanish or Catalan. 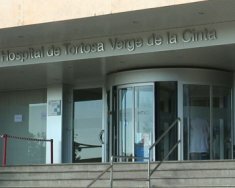 There are a few hospitals in the area, most notably is in Tortosa (l´hospital verge de la cinta). Sign posts can be found on most of the main roads in the town. It s situated at one of the highest points in the town, looking out across to the Parador (and has a tall water tower and heli-pad). So if you´re on foot make sure you are prepared to climb the hill(or take a bus from Hife station in El Temple). Parking can also be a problem, with most of the areas close to the hospital will be taken quite quickly. Make sure you have the correct documents with you such as a Cat Salut card, EHIC and passport or equivalent. Without these the hospital bills can rise quickly. Not knowing where to find good opticians can always be a headache (literally). But we aim to promote opticians who have proven first rate service. We will provide the information so your headaches/migraines are soon over. Rosie Reay will personally vouch for Opticalia worth, under Godofredo’s expertise. He solved her migraines! Who was a migraine sufferer, driven for days on end, to the extreme point of enduring pain and loss of her vision, even hospitalisation. Neither doctors nor other opticians abroad got to the root of her visionary problems. “It is amazing what a decent pair of varifocals spectacles (with correct size and lens to cope with the necessary diverse prescriptions) can make in such a short time. I am migraine free! I do not take one tablet for migraine now. I can sit and write for hours now. Brilliant! 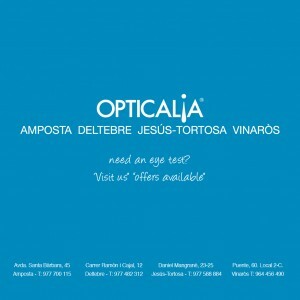 Contact Opticalia now! You will not look back with regret!” says Rosie Reay. The bonus is the staff are all tri-lingual (with exemplary customer care), Castillian, Catalan and English. Godofredo speaks English so eloquently and explains everything step by step. If you have been having trouble with a muscle or joint injury, then physiotherapy could be your key to recovery. Physiotherapy is available through the Cat Salut system but if you´re ineligible be it sport related injury with neither insurance nor Cat Salut cover (nor other private medical insurances) then private physiotherapists are the place to visit. Dental cover can be acquired through a number of companies including banks. If you visit a dentist without cover then the charges can be more than just a bite size (pardon the pun). So do get yourself and family covered (a joint policy is usually cheaper) for a small amount each month. Then when you have your next visit to a dentist you are only paying a fraction of what you could have done and you will be pre-warned about a schedule of costs. Be smart and look after your pearly whites. Here we intend to promote the other medical services available, such as pharmacies, mobility aid products, chiropodists, therapist’s carers, massage centres, yoga therapy and much, much more.